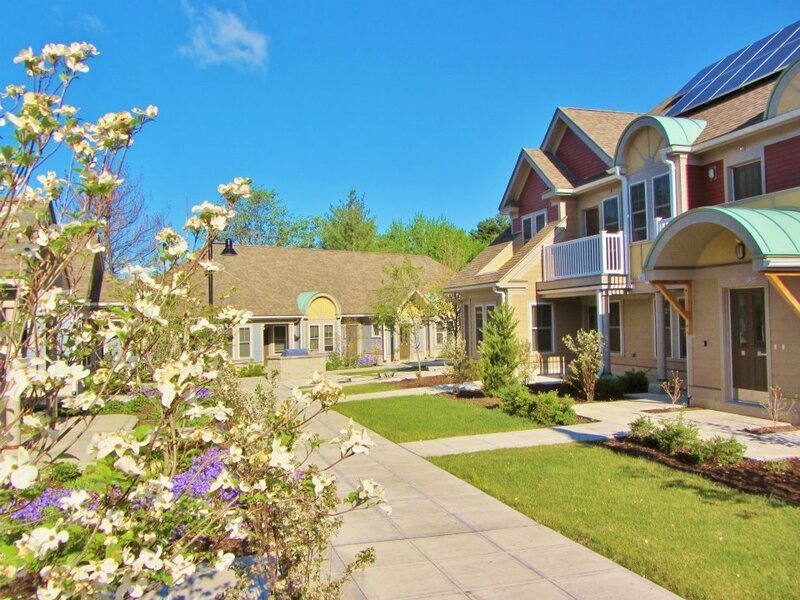 The custom-designed Gordon Mansfield housing complex at Soldier On, a nonprofit veteran center in Pittsfield, Massachusetts. The complex has 39 studio or one-bedroom units for veterans partly powered by rooftop solar collectors. Each unit has its own entrance, a porch or deck, and is wired for cable and internet. Of the millions of veterans who come to the VA for help, Sam Bennett was an unusually difficult case. He was born to a single mother of seven in a two-room shack a few miles down Route 16 from the state prison at Raiford, deep in Florida’s interior scrubland. Dad was doing time at Raiford, 17 years. Mom — Dorothy Fields Bennett — worked two jobs while the kids walked to get water and battled roaches in the shack, and at night, rats in the dark outhouse. At 13, Bennett began to steal liquor to blunt his hunger and humiliation. His life slid downhill from there. Many years later, after a four-year stint in the Army and years of addiction, crime and homelessness, a desperate, 42-year-old Bennett turned to the Department of Veterans Affairs for help. A VA psychologist told him he was suffering from childhood depression. Before it was too late, Bennett’s life was saved, but not by the VA. It was a community-based nonprofit organization that gave him the kind of personal attention, dignity and trust that a massive government bureaucracy like the VA never could. The story of Sam Bennett, now 55, and Soldier On, the organization that enabled him to turn his life around, illuminates a trend that’s grown quietly in recent years as the VA has struggled with scandal and the growing demands of veterans: the rise of the community non-profit. Some 46,000 locally based organizations are serving veterans across the country, and in many cases doing it more effectively than the VA. Using a mix of VA cash and other government grants, corporate gifts, local donations and often drafting volunteers, these groups are providing services to veterans and their families to get their lives back on track — from housing, job training and financial and marital counseling to addiction treatment, short-term loans, car repairs, even baby sitting. The VA still plays a crucial role in veteran care. Nonprofits cannot duplicate the medical care it offers, its specialized brain injury work, the occupational therapy and other advanced care it provides amputees and severely wounded veterans. But community-based non-profit organizations are stepping up where the VA is falling short. And this points to a potentially powerful way to reform the struggling agency, many veteran advocates say. Cut it down to size. Clean out its overstuffed layers of administrators and managers. Let it continue providing the direct medical care for which it receives high marks, as well as the GI Bill education programs, pensions and disability benefits. But boost the generous funding the VA provides to the nonprofits, and let the nonprofits take over more of what they do best. In other words — the VA pays the bills, and the nonprofits do the work. “There are just some things that government can’t do, that independent organizations, working together locally, can do,” said David W. Sutherland, a retired infantry officer who runs the Easter Seals Dixon Center in Cincinnati. It supports local initiatives to provide health, jobs and education support for veterans and their families. “If we turned the VA into an insurance company, we’d be in good shape,” growls Jack Downing, 71, a tough-talking New Englander who founded and runs Soldier On. After all, it is in local communities like Pittsfield, a small city in western Massachusetts where Soldier On is based, that nonprofits can find veterans and figure out how best to help them — challenges that have frustrated the centralized VA for years. Many of these veteran-oriented nonprofits have sprung up or expanded since 9/11 as people have felt a need in their communities to connect with veterans thronging home from the wars, and to fill the gaps the VA was leaving open. Like any big government agency, the sprawling, $164 billion VA cherishes its ironclad rules and standardized, one-size-fits-all services. One result is that it reaches only about one-third of the nation’s 21 million veterans. A veteran may not qualify for VA assistance because of a dishonorable discharge or may have not served long enough to earn benefits. The VA lacks the ability to track veterans after they leave the service. When it can find them, it is prohibited by law from forcing them to come in for health care. A veteran unserved by the VA may simply live too far from one of its 152 medical centers, or may be one of those 57,000 veterans waiting three months or longer to see a doctor. They may distrust the government. Or, like Sam Bennett, they may be a hard case. Soldier On, the veterans’ facility in Pittsfield that took on Sam Bennett. Short and well-muscled with bright eyes and a broad face that often splits into a wide grin, Bennett wrestled his way through high school and enlisted in the Army, in what might have been an escape from the alcohol, drugs and petty crime of his neighborhood. It wasn’t an escape. The Army in the late 1970s was underfunded and demoralized after Vietnam, its ranks poisoned with racial animosity, drugs and crime. At some bases, officers were afraid to enter the enlisted barracks. Bennett was sent to Germany with his tank unit, Charlie Company, 3rd of the 9th Cav, to help deter a Soviet invasion. He loved the military and did well, rising above private first class to Spec. 4. He loved tanks. He also loved the lifestyle, where reefer, heroin and mushrooms numbered among the temptations. His enlistment completed at 22, Bennett was discharged from the Army and came home with hepatitis from a dirty needle and a hunger for drugs. Sam Bennett, now a case manager at Soldier On. He worked intermittently at Raiford prison and did other odd jobs, spending what he earned on drugs and living among other addicts in abandoned housing. 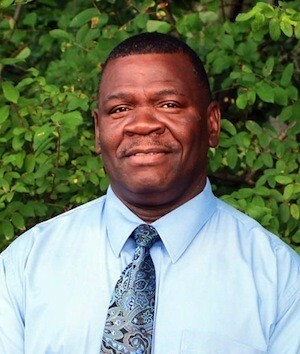 In 1989 he was convicted of strong-armed robbery and served 13 months in prison in Tallahassee. “I put some harm on people who didn’t deserve it,” he said. “I had a lot of resentment, a lot of denial — it’s all somebody else’s fault.” The day he got out, they gave him a dress shirt, trousers, sneakers and $50. He went right out and bought beer, cigarettes and crack. At one low point he showed up at his mother’s house. Disgusted, she shooed him away. In 2001, the VA psychologist who had diagnosed him with childhood depression sent Bennett to the homeless program at the Northampton VA Medical Center in Leeds, Massachusetts. The program was run under contract by Downing’s organization, then operating as United Veterans of America. Downing got Bennett a bed at the shelter, hooked him up with VA medical care and enrolled him in the local Narcotics Anonymous, the global community-based organization with a 12-step addiction recovery program. Eager to learn, hard-working and a natural, charismatic leader, Bennett did well, at first. Downing spotted Bennett’s potential, appointing him manager of the shelter at $7.20 an hour. It was rocky. Bennett ran away, came back on his own and started over. Ran away again. But here’s where the personal attention of a small nonprofit made a critical difference. The VA, with its overloaded case managers and unyielding rules, might have lost Bennett at this point. Downing did not. Working the phones, Downing located the runaway Bennett in Stafford, Virginia, and called, not to berate him or punish him, but to point out his senseless, self-destructive path. “Why are you lying down in the middle of the road waiting to be run over by a truck?” Bennett remembers Downing barking at him on the phone. With that, Downing flew one of his residents down to Virginia to bring Bennett home to Pittsfield. “I finally admitted I was struggling,” Bennett said. “That was 2006 and I’ve been clean ever since.” He enrolled in school and in 2008, after nine months of work, earned his state certificate as an alcohol and drug counselor. He is employed at Soldier On as a case manager, responsible for overseeing the addiction treatment and physical, mental, spiritual and financial health of a handful of Soldier On residents. And in a huge step for a recovering addict, he’s earned the right to oversee the pharmacy at Solder On, where residents come each day to get their meds. Bennett’s job as a case manager is a big one, considering how much Soldier On has expanded. Currently, it houses 165 male veterans in a short-term emergency shelter, on the grounds of the Northampton VA Medical Center. Downing recently opened a 10-bed shelter there for women veterans — kept strictly separate from male facilities because almost all the women are traumatized by previous sexual assaults. In Pittsfield, 71 Soldier On residents live in rooms of three, five or six men in short-term “transitional” housing in a former nursing home, preparing for more independent living, either on their own or in the model $6.9 million permanent housing complex that Downing opened here four years ago. The custom-designed Gordon Mansfield complex, named for a wounded Vietnam veteran and veteran advocate, has 39 unique studio or one-bedroom units partly powered by rooftop solar collectors. Each unit has its own entrance, a porch or deck, and is wired for cable and internet. Sam Bennett’s home is technically a studio, although it boasts separate bedroom, living room and kitchen areas. It’s nautically shipshape, fanatically neat as only a man who’s lived in barracks, prison and on the streets can make it. Pillows arranged at precise angles on a new sofa; kitchen spotless, dishes polished and placed in ranks in the cupboard. Framed family photos set squarely on soft beige walls — there’s Dorothy Fields Bennett, a great-grandmother now at 74, smiling into the camera. In line with Downing’s determination to treat the veterans well, he hired a renowned local chef to provide high-class, non-institutional meals: a recent dinner featured roast garlic chicken and local vegetables. Not surprisingly, there is a waiting list of roughly a dozen for the Mansfield cooperative. Residents each buy a $2,500 share, owning 1/39th of the complex. If a formerly homeless vet can’t afford it, he’ll pay what he can and the rest will be made up by grants from local banks. Residents’ monthly payments, averaging around $580, are subsidized if needed by a federal grant. Construction jobs are one of the many employment opportunities available to veterans at Soldier On. But they can earn cash toward their monthly payment by working shifts in the kitchen, on cleaning and maintenance crews, or manning the 24/7 command post. They are paid to run construction and trucking outfits and a food pantry that’s available for veterans and local families. They operate a transportation network with a dozen vans and buses that ferry veterans to jobs, school and health care appointments, a service they’re extending to local civilians as well. Soldier On employs a full-time psychologist, a part-time psychiatrist and addiction specialists, and hires former addicts like Bennett as case managers and support staff, paying between $10 an hour and $52,000 a year. The center also encourages veterans to participate in community service, an important part of helping restore their sense of dignity and self-worth. In winter, for instance, Soldier On’s residents open a shelter for homeless civilians with hot food, showers, beds and a clothing exchange. Veterans prepare and serve the food, clean up, wash the sheets. These and other problems are handled by case managers and a board of a dozen residents and staff, which operates on the principle that “failure and weakness must be acceptable here every day,” Downing says. In a recent meeting, they discussed how to handle a veteran bothering his roommates with night terrors, and another “moving in and out of psychosis” (keep a closer eye on each man, they decided). The committee can order a miscreant to get drug testing, meet with a therapist or impose a short-term restriction to the grounds — no trips into town. Downing puts it this way: “The VA’s idea is the veteran has to come in to see them, that it’s not their job to go find the veteran. And when the guy gets there, they jam a program down his throat. 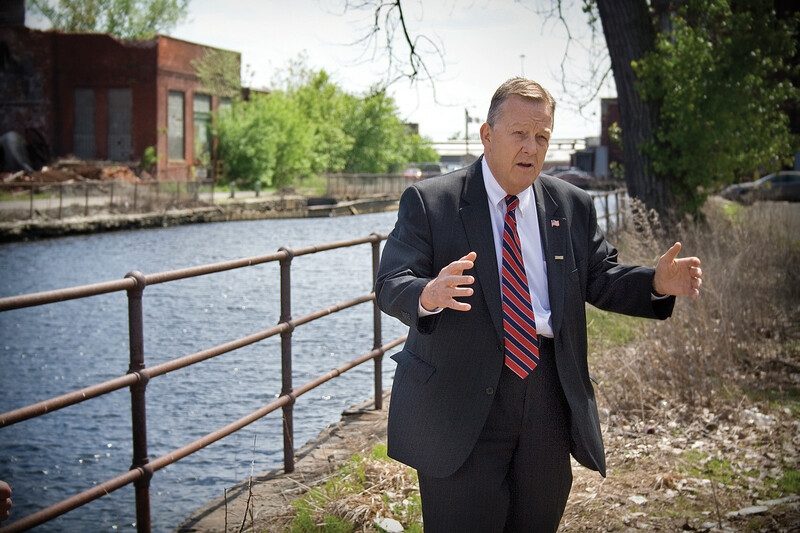 Downing plans to build new housing cooperatives for veterans in Massachusetts, New York, New Hampshire, New Jersey and Florida. Jack Downing, the founder of Soldier On. Who pays for all this? Mostly the federal government. And Downing, like the flinty-eyed Yankee trader of myth, is a master at coaxing what he needs from Washington and figuring out how to use it creatively. 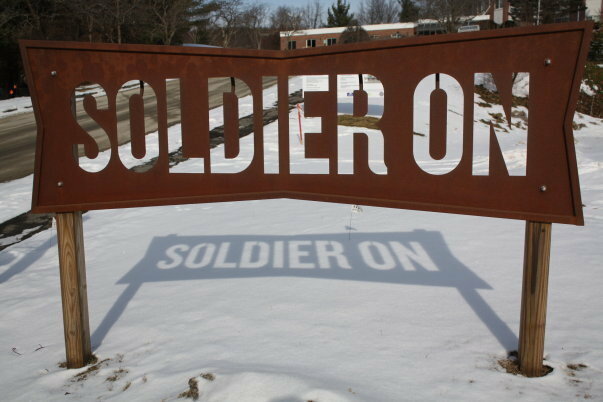 Of its $15.3 million budget this year, Soldier On gets $13.5 million in various VA grants for housing and support of homeless veterans and for counseling and other services. It receives $350,000 from the U.S. Department of Labor, and the rest from the Massachusetts Department of Veteran Services, local government, housing payments from its residents, and other grants and donations. Much of the federal money comes through the VA’s innovative Supportive Services for Veterans and Families program, which this year will give some $900 million in grants to 450 community nonprofits to provide housing for veterans who are homeless or at risk of becoming homeless. The program, begun in 2011, is the VA’s nod to local nonprofits: the VA provides the money, and all the work of finding and housing homeless veterans is done by community organizations. Once veterans are in stable housing, these grants enable communities to embrace them with medical and mental health services, financial counseling, job placement and other social services, to ensure that they don’t end up back on the street. VA officials acknowledge that community nonprofits do a good job with their money. “No question, Soldier On is efficient,” said John Kuhn, a senior official who oversees the SSVF grants. Increasingly, though, private money is flowing to community nonprofits as well. Walmart, Home Depot and Wells Fargo last year provided some $7.5 million in grants to 600 veterans organizations, and Starbucks chairman Howard Schultz recently made available $30 million in grants to community organizations helping veterans transition to civilian life. National organizations such as Give An Hour provide a range of free, local psychological counseling by more than 7,000 professionals who volunteer their time for veterans in all 50 states. But it’s largely the VA’s money that allows Downing to try creative ways to reach veterans. Furious that the VA expects veterans come to its facilities rather than going out to find them, he set up a phone line — 1-866-406-8449 — manned by Soldier On residents. Any veteran who calls will get a call back within 15 minutes. If the caller is outside Soldier On’s coverage area (Massachusetts, New York, New Jersey, Pennsylvania and Mississippi), he’ll be referred to a community nonprofit close by. Within those five states, a Soldier On specialist will show up at the caller’s home within 24 hours. To do that, Downing has worked out a deal with a local Toyota dealer for a $1.5 million line of credit, which he used to put 75 Soldier On representatives on the road in RAV4 SUVs, enabling them to meet with needy veterans in person. “We don’t work by phone, so it’s long days — last year I did 58,000 miles on the road,” said one specialist, who asked not to be named for personal reasons. He said if Soldier On can’t help the veteran, he has a list of 230 other community nonprofits nearby he can recommend. Of course, most veteran-oriented nonprofits don’t have the resources or scope of Soldier On. Some act as one-stop referral services, directing veterans to local businesses for jobs, or finding them mental health and family counseling from organizations like Give An Hour. Others offer just a few services. Friendship Place, a nonprofit that serves the relatively affluent Washington, D.C., metro area, focuses on veterans who are homeless or at risk of losing their homes. It uses a $2 million SSVF grant to provide housing to roughly 400 veterans for up to three months. One was Latoya Lee, who deployed to Iraq in 2003 with the District of Columbia Army National Guard, and who earlier this year found herself on the verge of losing her home. Lee, 31, took maternity leave last December from her job as a contract administrator at the State Department, with maternity pay of $128 a week. She couldn’t quite make ends meet. By February, she was out of money and her $1,100 rent was due. She was already barely scraping by to feed her three-year-old daughter and newborn. Friendship Place stepped in with cash to pay her rent and provided financial counseling to help stabilize her future. Lee is now back at work and no longer needs the $1,200 a month she received from Friendship Place for two critical months. She’s making her car payments and putting money aside in savings. She says she’s learned to live just below her income. Despite such good work, veteran-oriented nonprofits have grown haphazardly, with some established nonprofits adding veterans services and others springing up to fill an immediate local need. Not surprisingly, they vary widely in expertise and skill — and often aren’t coordinated with other nonprofits. That’s starting to change. The VA made an attempt last year to bring together nonprofits, local governments and businesses in many cities to collaborate on mental health services, but the effort left behind no lasting structure. As a result, nonprofits are taking the lead. In Cincinnati, for instance, the Easter Seal Dixon Center last year convened several large community meetings, bringing together some 200 activists from nonprofits, banks and other businesses and schools and connecting them with VA representatives and others to identify and fill gaps in services and funding. One immediate outcome: a call-in center that refers veterans to the appropriate local resource for help. Similar organizing is taking place in New York City and Pittsburgh, where the Institute for Veterans and Military Families at Syracuse University is helping to build networks of dozens of nonprofits, equipping schools and businesses to deal professionally with local veterans. IVMF also trains nonprofit staffers on how to seek and manage grants. After several years of work, he said, “we have a community of practice.” If one nonprofit is floundering, McDonough said he can draw on expertise from another nonprofit to help. All photos courtesy of Soldier On. If you’ve had experience dealing with the VA or with nonprofits serving veterans, we want to hear from you. Email us at openreporting@huffingtonpost.com and tell us your story, and what worked — or didn’t work — for you. Please include a phone number if you’d be willing to speak to a reporter. SPRINGFIELD – Monday, July 7, 2014 – Governor Deval Patrick today announced $83.6 million in funding to create 24 affordable housing projects across the state, building on the Patrick Administration’s commitment to improving housing infrastructure to support growth and opportunity throughout the Commonwealth. In all, the projects will create 1,328 units of housing and over 2,000 jobs. Since 2007, the Patrick Administration has invested over $1 billion in state and federal resources to create 24,000 units of housing, of which approximately 22,000 are affordable. Last week, Governor Patrick released his Fiscal Year 2015 Capital Investment Plan, which builds upon the Administration’s successful efforts to stimulate job creation and support long-term economic growth by making record level investments in higher education, innovation and infrastructure projects. The FY15 Capital Plan continues to make investments in low-income housing development, including increased levels of funding for programs that support the production and preservation of affordable housing for low-income families and individuals, as well as community-based housing for clients of the Department of Mental Health and Department of Developmental Services. In November 2012, Governor Patrick announced the Commonwealth’s goal of creating 10,000 multi-family housing units per year. By creating this type of housing, which is attractive to young families and individuals, Massachusetts is better prepared to keep in state the skilled, young workforce which employers are seeking. Last fall, Housing and Economic Development Secretary Greg Bialecki accepted a national “workforce housing” award from the Urban Land Institute, recognizing the Patrick Administration’s leadership in pursuing a strategy to increase the supply of housing needed, and in the places needed, for its workforce. Improving the housing stock at all levels is a priority for the Patrick Administration. Along with creating new housing, the Administration has made significant investments in the Commonwealth’s public housing stock, by preserving and improving the 46,000 housing units in the system through increased capital funding, increased operating subsidies and changes in management of those resources. “This will be a great help in restoring a significant number of housing units in one of the City’s oldest, and more substantial, complexes,” said Pittsfield Mayor Dan Bianchi. 75 Amory Avenue, Boston, is a new construction project located in the Jamaica Plain neighborhood and sponsored by Jamaica Plain Neighborhood Development Corporation (JPNDC). DHCD will support the project with federal Low Income Housing Tax Credits, federal HOME funds and state bond subsidies; the City of Boston also will support the project. When completed, 75 Amory Avenue will offer 39 affordable units for families, with eight units reserved for households earning less than 30 percent of area median income. RTH Riverway, Boston, is a new construction project located in the Longwood Medical Area and sponsored by Roxbury Tenants of Harvard (RTH). DHCD will support RTH Riverway with federal and state Low Income Housing Tax Credits, federal HOME funds and state bond subsidies; the City of Boston also will provide funds to the project. When completed, the project will include 60 affordable units for families, with 14 units reserved for households earning less than 30 percent of area median income. Whittier-Lyndhurst-Washington, Boston, is a part preservation, part historic re-use and part new construction project located in the Dorchester neighborhood and sponsored by Codman Square Neighborhood Development Corporation. DHCD will support the project with federal Low Income Housing Tax Credits, federal HOME funds, and state bond subsidies; the City of Boston also will support the project. When completed, Whittier-Lyndhurst-Washington will offer 44 affordable units for families, with 13 units reserved for households earning less than 30 percent of area median income. Port Landing, Cambridge, is a new construction project located in Kendall Square sponsored by Capstone Communities and Hope Real Estate. DHCD will support the project with Housing Stabilization Funds, Commercial Area Transit Node Program Funds, Affordable Housing Trust Funds; the City of Cambridge will also support the project. When completed, the project will include 20 affordable units for families, with two reserved for households earning less than 30 percent of area median income. Chapin School Veterans Housing, Chicopee, is the adaptive re-use of a historic school building. The project is jointly sponsored by Soldier On, Inc. and the O’Connell Development Group, Inc. DHCD will support the project with federal Low Income Housing Tax Credits. It will also be supported by funding from the City of Chicopee. When completed, Chapin School will offer 43 units of housing for veterans, all of which will be affordable. Nine of the 43 units will be reserved for households earning less than 30 percent of area median income. Village at Lincoln Park, Dartmouth, is a new construction family housing project to be built on the site of a former amusement park. It is the first of several phases to be built on the site which received a 40R designation. Other planned phases include an elderly rental project, as well as single family homes. The Town is very supportive and has contributed $100,000 from the Dartmouth Affordable Housing Trust Fund to this phase of the project. This phase will consist of 36 family units, of which four will be reserved for households earning less than 30 percent of area median income. Island Creek Village North Age Restricted, Duxbury, is a new construction project sponsored by Beacon Communities. DHCD will support the project with federal and state Low Income Housing Tax Credits and Affordable Housing Trust Funds. When completed, Island Creek Village North Age Restricted will offer 94 units of affordable housing for residents aged 55 and older. The sponsor is reserving 19 of the 94 units for households earning less than 30 percent of the area median income. Fitchburg Yarn Mill Phase III, Fitchburg, is the adaptive re-use of a historic mill building sponsored by Winn Development. DHCD will support the project with federal and state Low Income Housing Tax Credits, federal HOME, Housing Stabilization Fund, Community Based Housing, Facilities Consolidation Fund and Affordable Housing Trust Fund subsidies. When completed, Fitchburg Yarn Mill will offer 38 units of affordable housing for families. The sponsor is reserving 10 of the 94 total units for households earning less than 30 percent of the area median income. Leyden Woods Apartments, Phase I, Greenfield, is a new construction and preservation project sponsored by The Community Builders. DHCD will support the project with federal Low Income Housing Tax Credits, state Low Income Housing Tax Credits, Capital Improvement and Preservation Fund, Community Based Housing, Facilities Consolidation Fund and Affordable Housing Trust Fund subsidies. When completed, Leyden Woods Apartments Phase I will offer 113 units of affordable housing for families. The sponsor is reserving 23 of the 113 units for households earning less than 30 percent of the area median income. Tenney Place Apartments Phase I, Haverhill, is a new construction project sponsored by Dakota Partners. DHCD will support Tenney Place Apartments with federal and state Low Income Housing Tax Credits, federal HOME funds and state bond subsidies; the City of Haverhill also will support the project. When completed, Tenney Place Apartments will offer 72 affordable units for families; 56 units will be affordable, with eight units reserved for households earning less than 30 percent of area median income. Tritown Landing Phase III, Lunenberg, is a new construction project sponsored by Great Bridge Properties. DHCD will support the project with federal Low Income Housing Tax Credits, federal HOME, Housing Stabilization Funds and Affordable Housing Trust Fund subsidies. When completed, Tritown Landing Phase III will offer 32 units of affordable housing for families. The sponsor is reserving four of the 32 units for households earning less than 30 percent of the area median income. Shoe Shop Place, Middleborough, is the adaptive re-use of a historic mill building. The project is jointly sponsored by The Neighborhood Corporation and Neighborhood of Affordable Housing, Inc. DHCD will support the project with federal Low Income Housing Tax Credits and Affordable Housing Trust Fund subsidies. It will also be supported by funding from the Town of Middleborough and the Greater Attleboro and Taunton HOME Consortium. When completed, Shoe Shop Place will offer 24 units of housing for families, all of which will be affordable. Five of the 24 units will be reserved for households earning less than 30 percent of area median income. Christopher Heights, Northampton, is a new construction project sponsored by The Grantham Group. DHCD will support the project with federal Low Income Housing Tax Credits and Affordable Housing Trust Fund subsidies. It will also be supported by funding from the City of Northampton. When completed, Christopher Heights will offer 83 units of Assisted Living housing for seniors, 43 of which will be affordable. Seventeen of the 43 affordable units will be reserved for households earning less than 30 percent of area median income. Leeds Transitional Housing, Northampton, is a new construction project sponsored by Soldier On, Inc. DHCD will support the project with Housing Innovation Funds and Affordable Housing Trust Funds. When completed, the project will include 16 units for women veterans and their children, with four units reserved for households earning less than 30 percent of area median income. Dalton Apartments, Pittsfield, is a preservation project and sponsored by the Berkshire Housing Development Corporation and Rees-Larkin Development. DHCD will support the project with federal and state Low Income Housing Tax Credits and state bond subsidies; the City of Pittsfield also will support the project. When completed, Dalton Apartments will offer 100 affordable units for families, with 10 units reserved for families earning less than 30 percent of area median income. Stable Path Rental Housing, Provincetown, is a new construction project sponsored by the Community Housing Resource, Inc. DHCD will support the project with federal Low Income Housing Tax Credits, federal HOME, and state Housing Stabilization and Affordable Housing Trust Fund subsidies. It will also be supported by funding from the Town of Provincetown and the Barnstable County HOME Consortium. When completed, Stable Path will offer 23 units of housing for families, 18 of which will be affordable. Five of the 23 units are reserved for households earning less than 30 percent of area median income. Kendrigan Place, Quincy, is a preservation project located in Quincy and sponsored by NeighborWorks of Southern Massachusetts. DHCD will support the project with Low Income Housing Tax Credits, state Low Income Housing Tax Credits, federal HOME, Community Based Housing, Capital Improvement and Preservation Fund and Affordable Housing Trust Fund subsidies. It will also be supported by Quincy HOME, the Community Preservation Coalition and City of Quincy Affordable Housing Trust funding. When completed, 78 units of affordable housing will be preserved. Eight of the units will be reserved for households earning less than 30 percent of area median income. 189 Broadway, Revere, is a new construction project for seniors sponsored by The Neighborhood Developers. DHCD will support the project with federal Low Income Housing Tax Credits, Facilities Consolidation Fund and federal HOME funds. The development will also receive funding from the North Suburban HOME Consortium. When completed, 189 Broadway will offer 39 units of affordable housing for adults aged 55 and older. The sponsor is reserving four of the 39 units for households earning less than 30 percent of area median income. Kenwyn Quadrangle, Springfield, is the preservation of two historic buildings that currently house low and moderate-income families. Each property has been owned and managed by HAPHousing for over 15 years. Kenwyn Apartments completed its 15-year Low Income Housing Tax Credit compliance (LIHTC) period in 2010; Quadrangle Court completed its 15-year LIHTC compliance period in 2013. The buildings need recapitalization and additional historic, life and safety improvements. Together they comprise 60 units of housing, of which six will be set aside for households earning less than 30 percent of area median income. Outing Park II, Springfield, is a preservation and new construction project located in the Outing Park Historic District and is sponsored by the First Resource Development Company. DHCD will support the project with federal and state Low Income Housing Tax Credits, federal HOME funds and state bond subsidies; the City of Springfield also will support the project. When completed, Outing Park II will offer 118 affordable units for families, with 12 units reserved for families earning less than 30 percent of area median income. Cranberry Manor & Carpenter’s Glen, Wareham and Taunton, is the restructuring of two projects that will bring needed capital improvement and continued affordability to these two affordable housing resources on the South Shore. The project is sponsored by the South Shore Housing Development Corporation, which is the current owner of the project. DHCD will support the project with Affordable Housing Trust Fund, Housing Stabilization Fund and Community Based Housing funds. Six of the units will be reserved for families earning less than 30 percent of area median income. Highland Woods, Williamstown, is a new construction project sponsored by Berkshire Housing, Inc. DHCD will support the project with federal Low Income Housing Tax Credits, Housing Stabilization Fund and Affordable Housing Trust Fund subsidies. 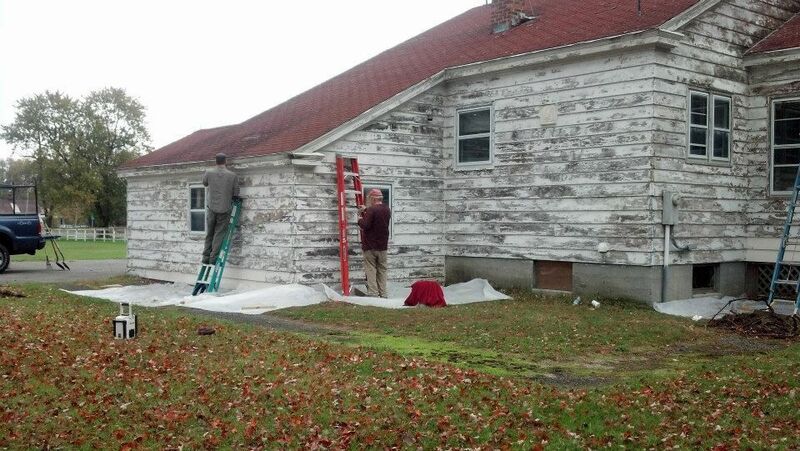 It will also be supported by funding from the Town of Williamstown. When completed, Highland Woods will offer 40 units of housing for seniors, all of which will be affordable. Eight of the 40 units will be reserved for households earning less than 30 percent of area median income. John Howland Jr. House, New Bedford, is the adaptive re-use of a historic building in New Bedford. The project is sponsored by the Waterfront Historic Area League. DHCD will support the project with federal HOME funds. It will also be supported by funding from the City of New Bedford. When completed, Howland House will offer seven units of housing, five of which will be affordable. 181 Washington Street, Somerville, is a new construction project located in Union Square, Somerville and sponsored by the Somerville Community Corporation. DHCD will support the project with federal and state Low Income Housing Tax Credits, AHTF, CBH and HSF. The development will also receive funding from the City of Somerville. When completed, 181 Washington will offer 35 units of affordable family housing. The sponsor is reserving eight units of the 35 units for households earning less than 30 percent of area median income.